Geno is a fighter who relies on well-timed button presses to improve attacks and open up new options. In Crusade, this was translated through his neutral special's stars gimmick and his Down and Forward smashes having alternate forms through a specifically timed Attack or Smash button press. However, the gimmick was limited to only these 3 attacks, and did not truly represent Geno as a character. 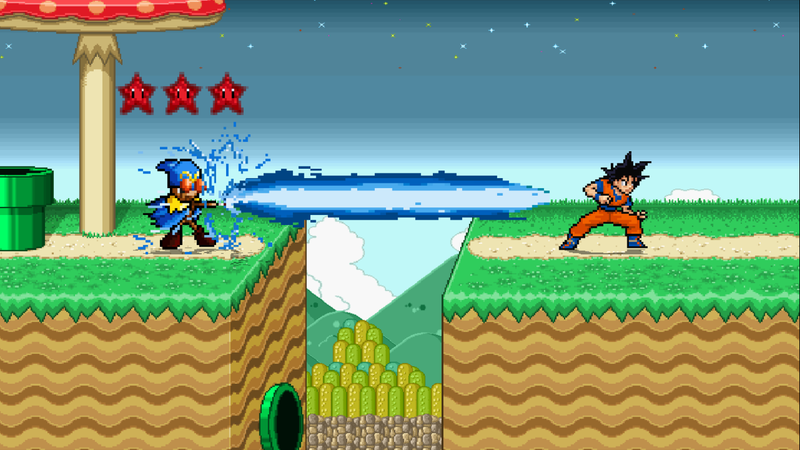 In addition, the stars gimmick on Neutral special was not challenging to time correctly, and similar to the old Kamehameha it covered a large area of the stage and was easily spammed. 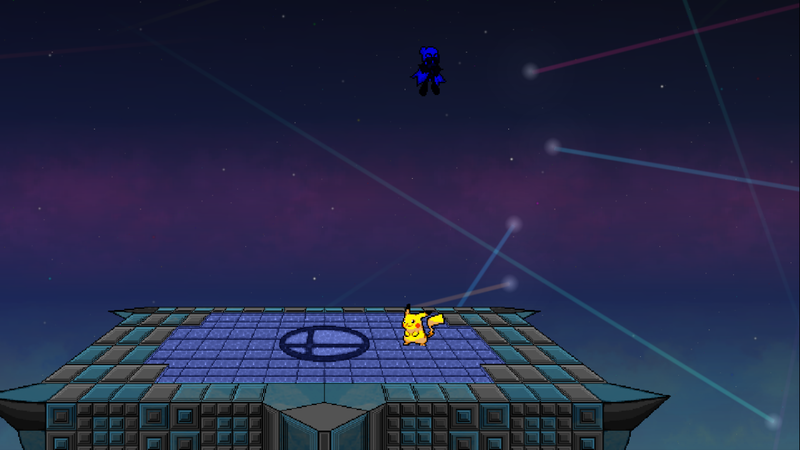 Lastly, Geno suffered from one of the worst recovery moves in the game, leading to unfairly early deaths. All of these problems will plague Geno no more! Geno has been revamped for v0.9.1 for a more viable and unique fighter! Geno's neutral B previously covered a massive area, and was very difficult to avoid. 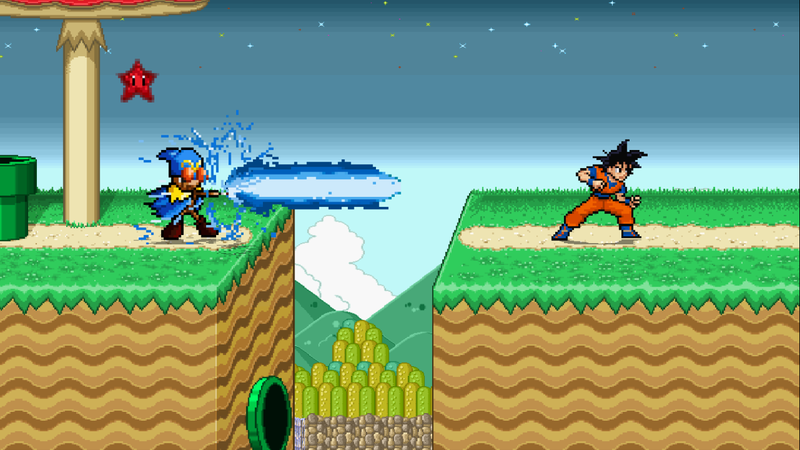 Like Kamehameha, it was easily spammable and overpowering, especially in free-for-all matches. For this version, the range of Neutral B has been severely toned down. We also felt that the stars gimmick happened too slowly, making it extremely easy to get the number of stars you wanted. Now, the stars will fly by much quicker! This is both a blessing and a curse; although it is easier to mess up, you can also get to higher levels of charge in less time! Careful! Overcharging will still bring you back to level 1 charge and automatically fire it. However, the ending lag will be much longer than usual! In his home game, Geno's down special also had the star charging gimmick. We've brought this into Crusade, the same as his neutral special! Hold B to charge, increasing the number of projectiles summoned as well as the end lag of the attack! The start lag of the attack has not changed no matter which charge level you use, meaning the stars fly by much quicker for this attack than they do for Neutral Special. Practice to get your timing right! Shorter charge levels will allow for combo followups, while longer charges will provide higher damage and longer attack duration. Choose wisely! As with Neutral Special, overcharging will result in a level 1 charge with much higher endlag. Side special previously felt less than intimidating, and didn't really represent how it's gimmick worked in the original game. 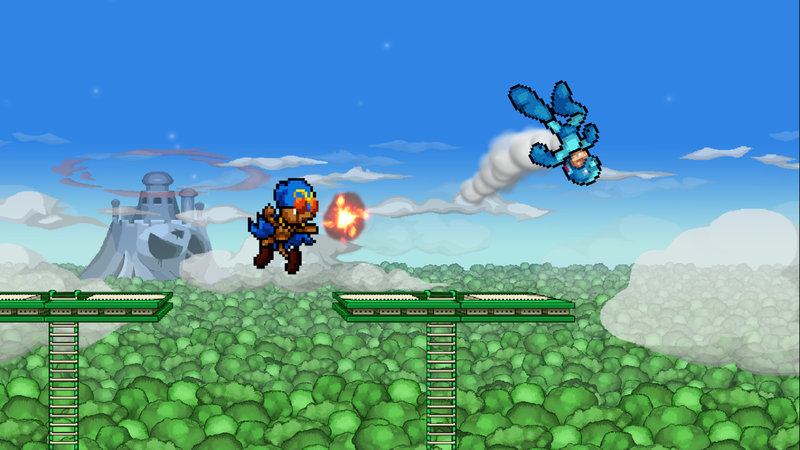 The projectile sprite has been re-made to look better than ever! But that's not all, the attack itself has drastically changed as well. 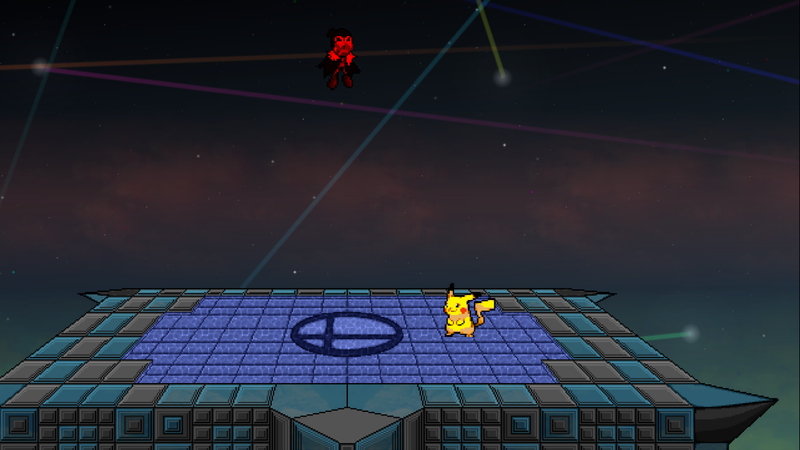 The projectile will travel much faster and is a smaller size, as well as piercing opponents to hit all characters in it's path! The projectile deals less damage, but has an immensely powerful timing mechanic. Rather than pressing B during the start lag, you must now press B during the last few frames of the projectile's existence and Geno's end lag. Miss the timing and you will suffer an increase to end lag. Land it, and any player who had been originally hit by the disc will take a second massively powerful hit! This extra hit cant be shielded or avoided by anything other than invincibility, and deals extremely high damage and knockback! Watch out for this little projectile, it can be more deadly than it seems! While we're changing Special moves, how about his Up Special? Previously, the recovery mostly traveled horizontally with very bad vertical momentum. To better match the visual indicator of upward arrows, this has been reversed! Geno's recovery is now primarily vertical. We've also redone the gimmick entirely. Now, Geno must press B during a specific window in the start lag. This window, and all other similar windows such as Side B, are marked by a special indicator and when done successfully, an audio cue will play to let the player know they succeeded. If he does not press correctly, he will only receive the offense up buff. However, a successful input will also apply the defense buff, as well as increase vertical recovery and even add a horizontal momentum boost at the end! Use this timing well to significantly improve Geno's recovery! 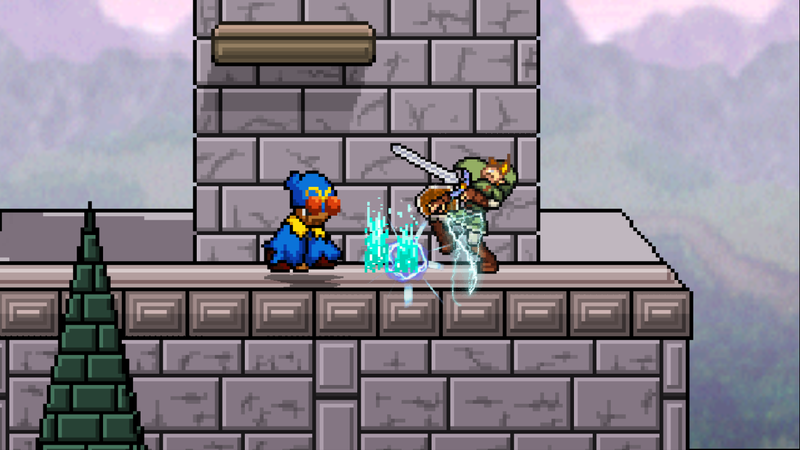 Geno still loses his buffs by using a special move, but he will no longer lose them when he is hit by attacks. Instead, the buffs last a set period of time before they are removed automatically. 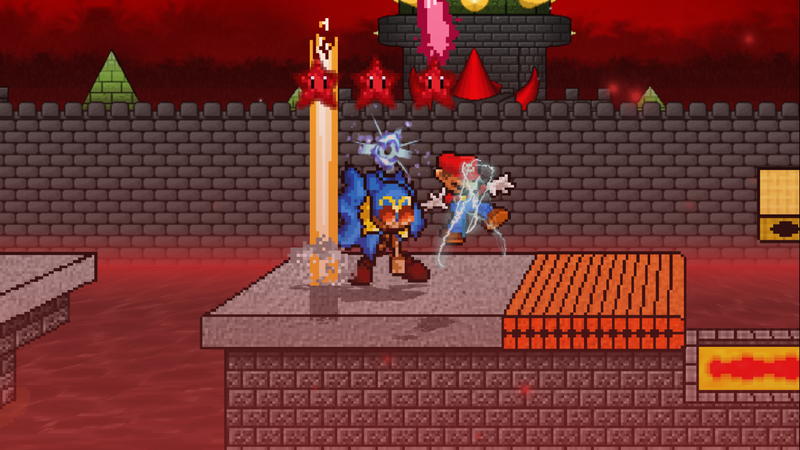 When Geno only has an offense buff, he will flash Red, but when he also has the defense buff he will flash Blue! Watch out for Geno Boost! Geno's Up Smash also felt lacking in previous versions. It was the only one of his smash attacks that did not have a timed variation, which made the attack comparatively feel unfinished. Now, press Attack or Smash at the right time to change the attack! The old up smash is actually the timed version now, while the untimed version will skip the multi-hits and go straight to the final explosion! This version deals less damage and covers less duration, but also gets it's final hitbox out sooner and spends less overall time in the attack! Geno has even learned to vary his normal attacks! 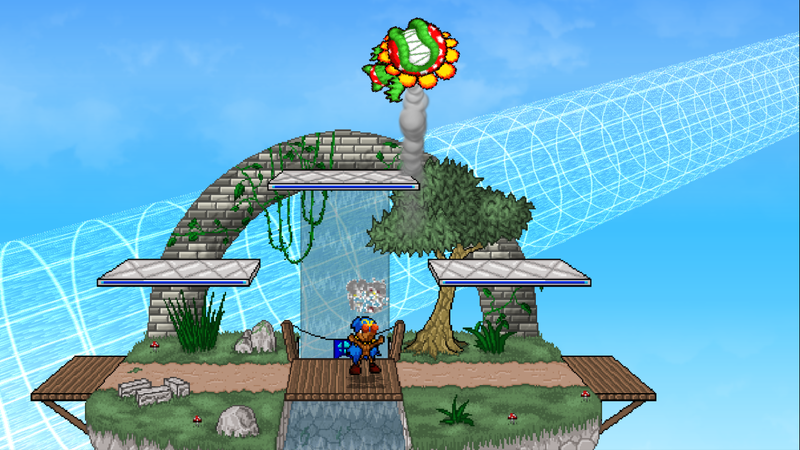 Back air will now require a timed input to fire the projectile (similar to forward smash), but without the input he will now create a powerful explosion behind him! Choose your variation for damage or range! Even his down tilt has received a timed variation! Press Attack during the start lag to summon two smaller pillars for increased damage and horizontal range, but decreased vertical range! Geno has gained far more options to deal with his opponents, but it will require mastery of his different timing windows to truly excel with the character. Can you master them all? Try it out in vo.9.1! Excited to try out Geno in v0.9.1? Let us know what you think! 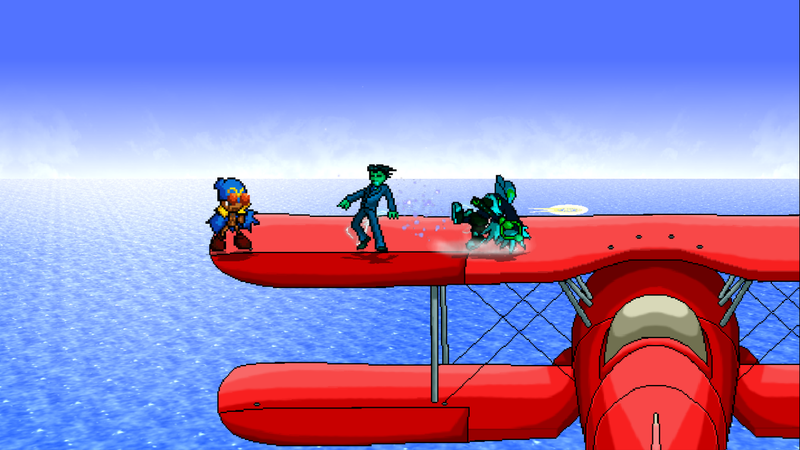 Tune in next week to see how we've improved Klonoa! now im REALLY hoping you guys fixed tingle. But the most important thing Geno needs isn't here, so I'll ask. Has his voice been updated. According to Dustination on Discord, Geno is now silent. Pretty cool guys! Interesting ideas with the timing variations. You guys have one of the most popular smash fangames out there, so celebrate the progress rather bringing down your previous work by saying things like "This was bland" "This was uninteresting" etc. Other than that I enjoy these updates and wish all of you well. When compared to what a creator expects, the original production can be seen as a failure of sorts. What matters is how the creator fixes what he/she considers a mistake to make it a masterpiece. Nothing is gained by bashing on one's older work. In order to improve, one has to admit one's mistakes. I'm a bit apprehensive, I gotta admit. They poured the gimmicks on thick with this update and usually, when gimmicks are in abundance, competitive viability takes a nose dive. I find that, nearly all characters can be used competitively in Crusade and I would hate to see that disappear. As someone who loves using Klonoa, I hope he is handled with care. His base moveset doesn't "feel" bad, but there is some room for improvements (Ledge Sweetspot of the Recovery and make the Down Special more useful, for example). IF he does get some major changes (such as Geno here), then I might think about if the changes are really "good." You're missing my point; there is an enourmous difference between admitting 'mistakes' and bashing your older work. Crusade has been doing good work from the start, my point is that I wonder why they phrase themselves so negatively towards their older works. It's kind of saddening to see how negatively they appear to view their previous work. Fair concern; do keep in mind however that the one who pioneered these changes is knowledgable about competitive smash. 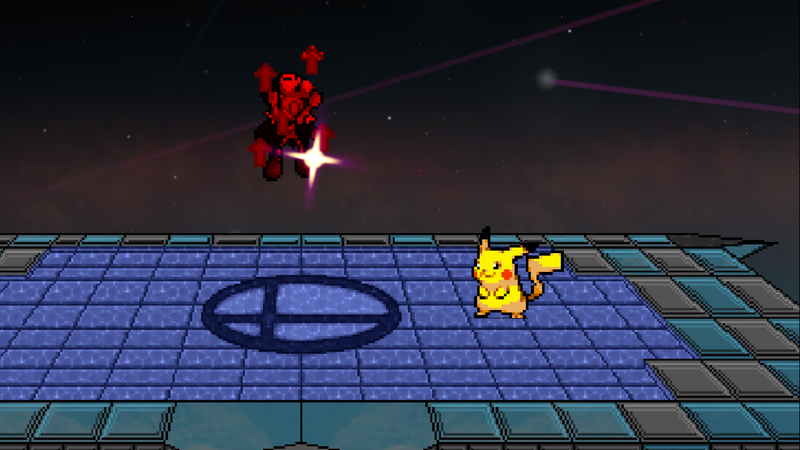 With timing variations as a gimmick i made a point of making sure the move is useful in two different ways, rather than not useful without proper input and then useful with the input. You could completely ignore the timed button presses and geno would be 100% viable. 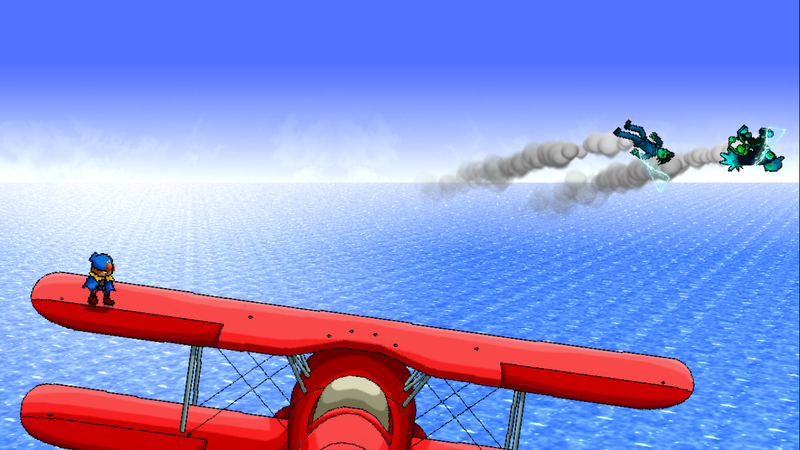 For example, Back air timed version is a projectile that has low-ish landing lag, very good at neutral game spacing. However, the untimed version is far stronger, at the cost of range. Every timing variation has a trade-off, not a straight up improvement. There is only one exception, and that is Up B when off-stage. The increased recovery distance and possibility to edge snap early makes the increased end lag pretty hard to notice in most cases. Getting your recovery input correct is the only time when timed variations are anything more than an extra option to consider.